Let’s just start by saying that Web Development is not a profession for the light-hearted. It’s something that requires critical thinking, logical consideration and, in general, a way of thinking with a tendency for breaking things down to find the much needed solution. There’s plenty self-proclaimed „Web Developers“ that just copy snippets they find on the web or install a CMS, without any further support knowledge. There’s also quite a few that possess the fundamental of this profession and are able to customize your web app or develop the custom features you need. Well, let’s just say that here, at iTrust, we take a step further by coding right „on the source“. WooCommerce is arguably the most popular eShop platform right now, possessing 37% of the market share. It’s also our company’s most preferred tool (along with PrestaShop) due to its clean coding, its security and due to the fact that it’s part of WordPress, the #1 SEO-friendly CMS Platform of the world. Along with the rest of our team at iTrust, we’ve been developing plugins, themes and functionalities in WooCommerce for years, satisfying all kinds of needs for our clients. 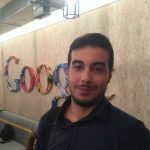 From early on, it was quite clear that we had a lot more to offer, so we gradually started contributing to GitHub’s repository platform (Head Developer GitHub Profile: Stratos Vetsos). Only the cleanest & safest code can be accepted in the platform. In the link below you can see a recent commit, that fixes a core issue that was released in the 2.6.2. update. This bug was left unresolved for 6 days with multiple pull requests that were never accepted. Thinking about developing a new website or web app?